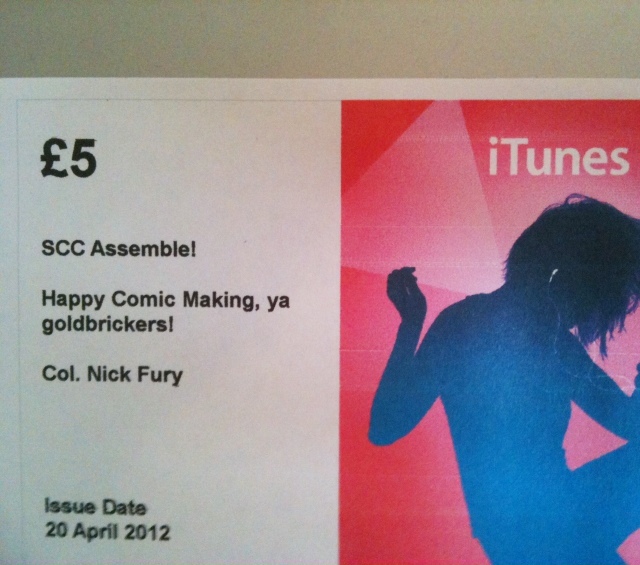 Swansea Comics Collective: Celebrity offerings. And here's our first gift to go with our new toy, the Colonel knows the path of the righteous. The real Colonel, not the chicken guy?